There’s something incredible about being able to come home from a long day at work and jump into the soothing, warm waters of a spa. No matter stressful situations you had experienced throughout the course of your day, they seemingly melt away with just a short period of time. If you are ready to make your nights magical, consider these important features that can found in a Twilight Series Spa. You would be hard-pressed to find someone that doesn’t enjoy a good foot massage; however, there are many health benefits that can be obtained through reflexology. The Master Blaster® Foot Therapy system utilizes 28 individual nozzles to provide a superior foot massage as you relax in your Twilight Series Spa. With over 200 gallons per minute of soothing relief, you can be sure your feet reap the full benefits of this unique system. Investing in Twilight Series Spas means that you are investing in a full body experience that can be noticed from the moment you sit down. To achieve this, the Twilight Series Spa range features intuitive ergonomic seating designs that make it easy for your body to relax quickly and efficiently. Once you are comfortable in the seat, you will love the head to toe attention provided by strategically placed jets massaging your whole body. Owning your own spa shouldn’t be a costly venture for homeowners. 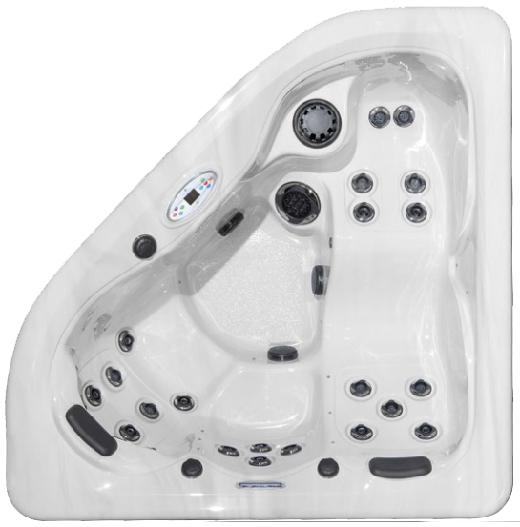 To help keep continued costs down, Twilight Series Spas feature energy efficient technology designed to increase insulation and lower your operating costs. This is achieved by using Icynene foam for insulation, unlike the urethane foam insulation commonly found in most other spas, to provide superior heat retention and air-seal the spa to create a thermal barrier. Aqua Haven Spas has been serving Oklahoma City since 2003 selling Quality Master Spas brand products. We strive to provide consumers with hard-to-find spa and pool care products and accessories; backyard entertainment products and more, all at the lowest prices on the internet. We encourage you to browse our swim spas to find the perfect one for you including Twilight Series Spas and Michael Phelps Swim Spas!